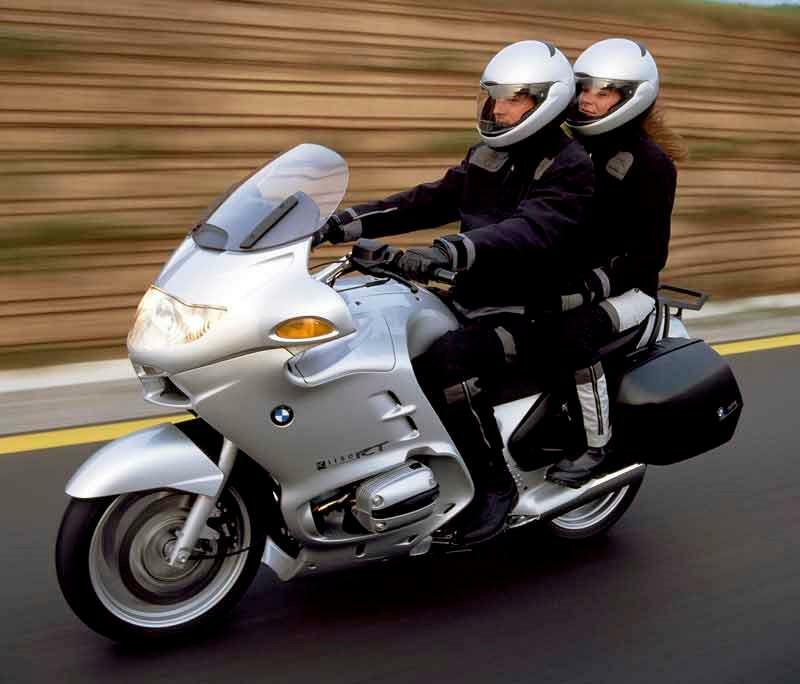 The BMW R1150RT has all the comfort needed to blitz Europe – and it handles too. Proof that a motorcycle can take you a pillion and plenty of luggage to those Alpine passes can be fun once you get there. 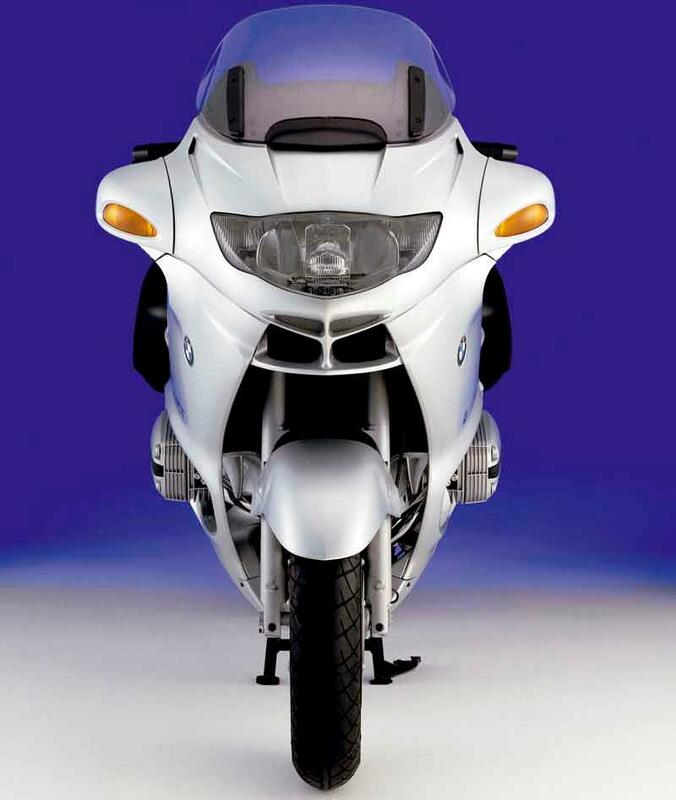 The R1150RT is lighter than most full tourers of the time and superbly built too – but it's no rocket in a straight line. 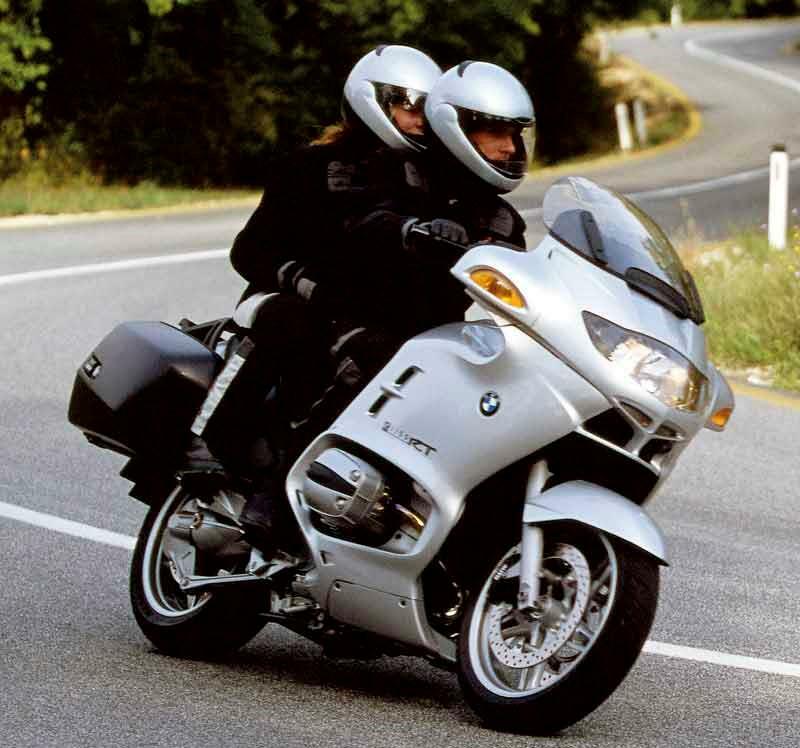 The BMW R1150RT's light weight plus well engineered chassis = great handling. 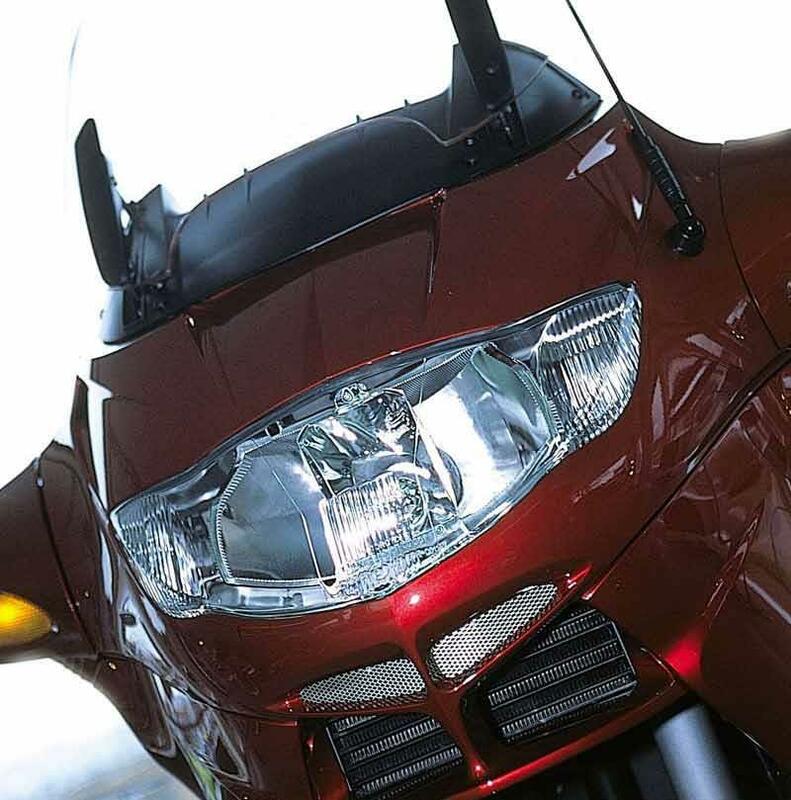 It’s all the more surprising as the R1150RT looks about as sporty as a brieze block. Dry weight is just 255kg – light for a full tourer. Many sources quote wet weight which makes the motorcycle sound heavy. Servo-assisted, linked, anti-lock brakes are excellent. 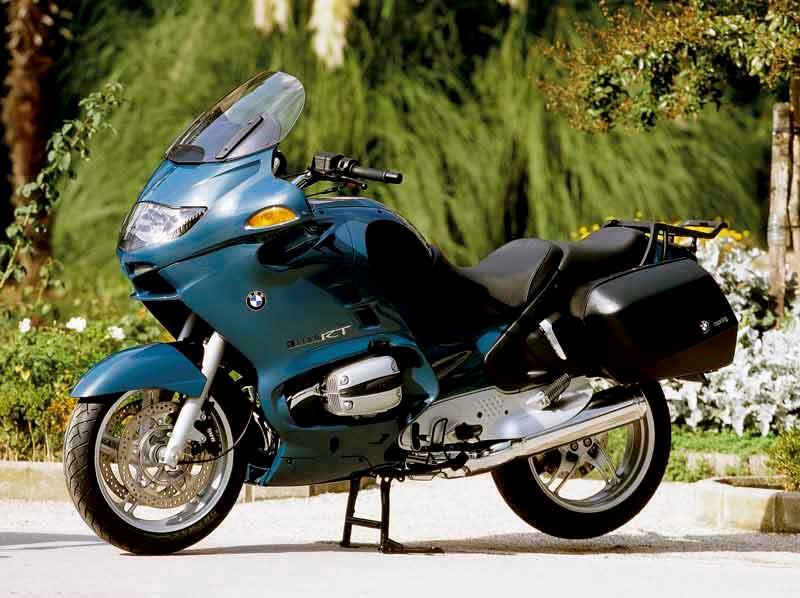 The BMW R1150RT's ‘Boxer’ opposed flat twin traces it’s heritage back to the 50s or even 20s with few major changes. It’s torquey at low rev and produces modest power higher up the tacho. 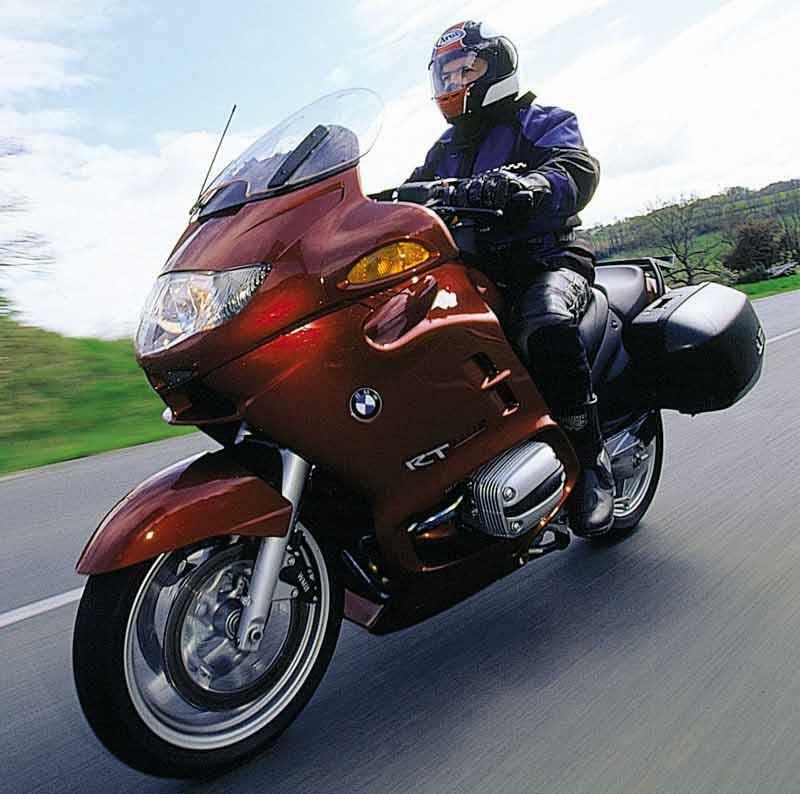 It’s more than adequate – up to about 100mph when other tourers will clear off. Some surging on a steady throttle. Gearbox is pretty poor. 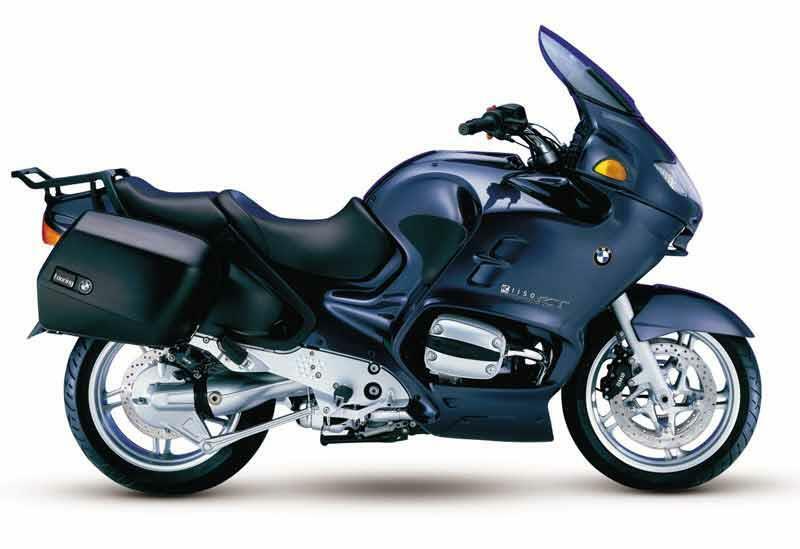 The BMW R1150RT has a solid construction which includes building in some resistance to salty roads. Brakes in particular resist weather better than most rivals. Plenty of bikes rack up huge mileages – 100,000 plus without major problems. The odd electrical niggle and small areas of corrosion are not unheard of. 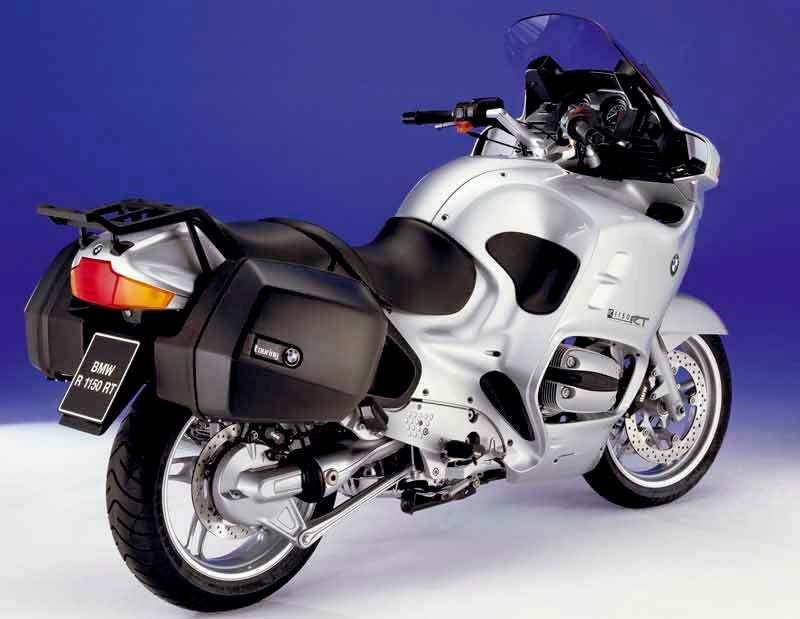 The BMW R1150RT was not cheap when new but in this class, so are all the rivals. Now only available on the used market and becoming more affordable. Depreciation is low due to the bike’s durability and small cult following. Glitzy main dealers tend to charge more than private sales but not always – do your research. 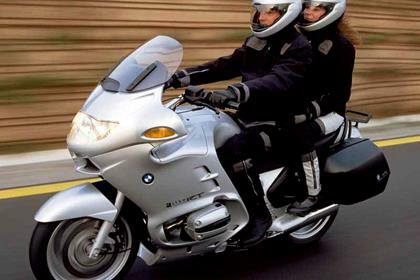 Find a BMW R1150RT for sale. 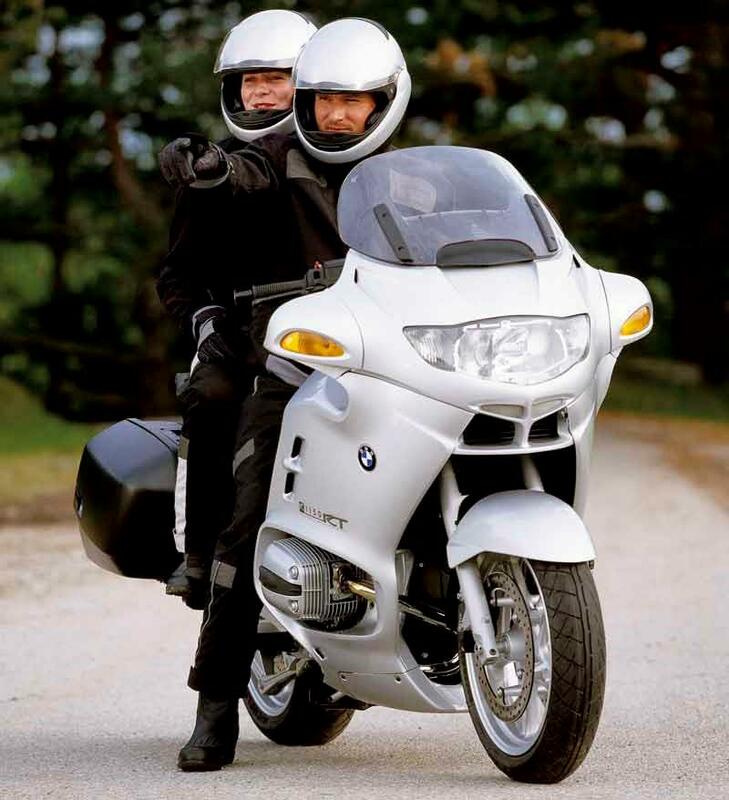 The BMW R1150RT delivers superb comfort for one or two – seat and bars are adjustable at a standstill, the screen can be moved on the move with a touch of a button. Panniers are included and work pretty well. Loads of extras are available including BMWs superb heated grips. 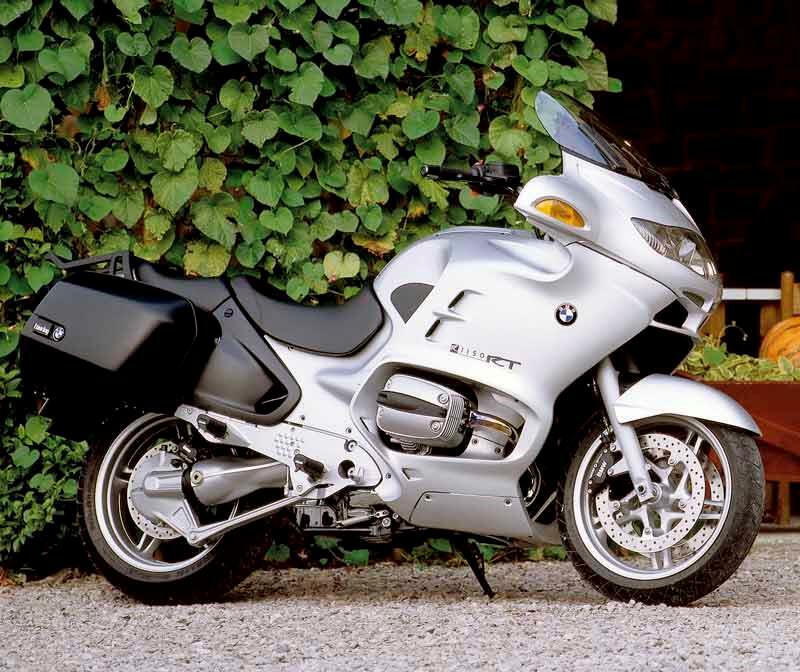 Compare and buy parts for the BMW R1150RT in the MCN Shop. 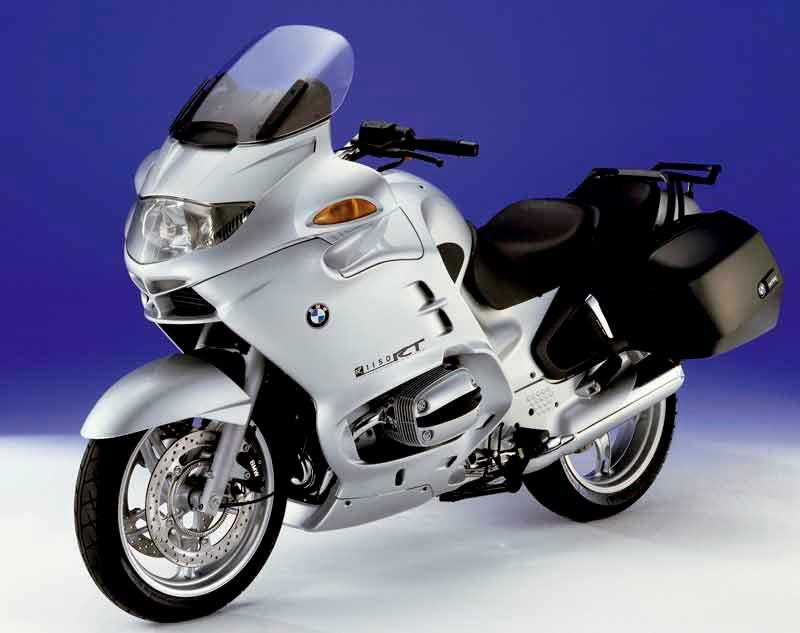 10 owners have reviewed their BMW R1150RT (2001-2005) and rated it in a number of areas. Read what they have to say and what they like and dislike about the bike below. Great comfort. Decent handling for a sports tourer. Very reliable. Has aged well. Heated grips are excellent. I have fitted taller screen which gives excellent weather protection at high setting. Panniers are great. Best motorcycle I've ever owned. 75k on mine. Uses zero oil, plenty of power, amazing handling, comfortable enough to knock out 800 mile days, over and over. The Boxer engine on this model puts out 95hp. Doesn't sound like much compared to today's hyper powerful bikes, but the power is always there and a touch of the throttle at any speed results in a nice, usable surge in acceleration. Fit and finish is excellent. Some slight corrosion on some fasteners but nothing too detrimental. 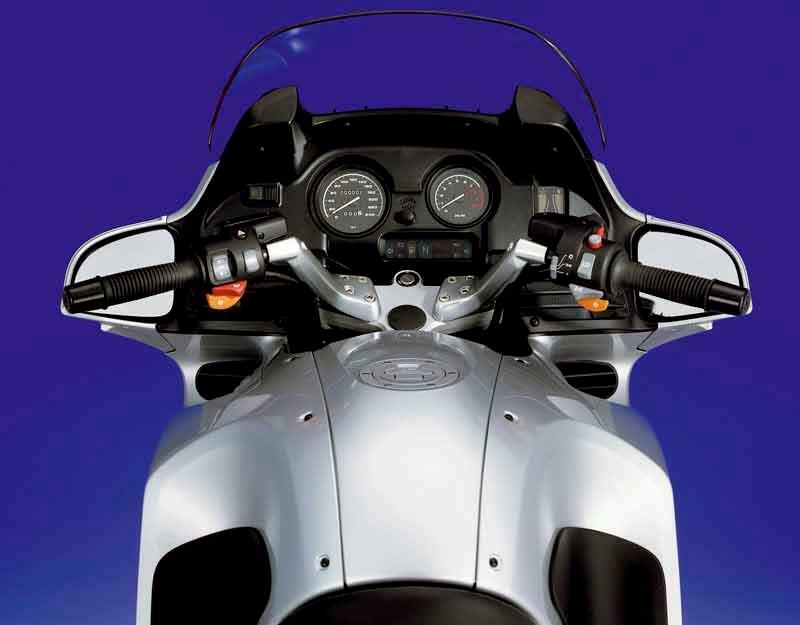 heated grips and electric windshield are first rate features as well as the saddlebags and adjustable seat. The 1150 changed in 2003 from 1 spark plug per cylinder (nicknamed single spark), to 2 (err, the twin spark). When this later model was brought out it sorted quite a few issues with earlier machines such as: Cured the surging (a feeling of the bike accelerating and decelerating at steady throttle settings). Improved rear brake feeling (the rear brake was too powerful and caused the odd problem with slow speed manouvers when it was too easy to lock the rear wheel (and bring the front brake into play a little too early). Improved the horn (the later models used twin horns as opposed to a single unit). A different alternator belt and pulley was used to give the alternator an easier life. This is a superb bike but not without its faults. Comfort for me is top notch, econony is 50mpg plus (most of the time). Handling is brilliant. 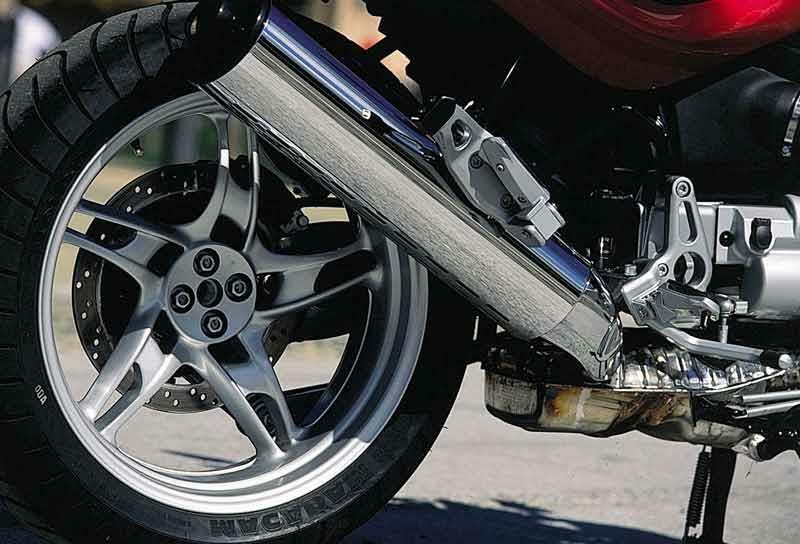 Its shortcomings...look out for possible gearbox alignment problems if the bike has had any history with this, don't touch it. Hall Effect Sensors (ignition trigger) wiring on early bikes had been know to have insulation breakdown problems, but never heard of it in later bikes. Servo brakes could go belly up. Some bikes have had this removed - this is not a bad thing and don't let it put you off. Bought April 2008 with 41000 miles and a full service history,and have had nothing but trouble with the thing. The electric screen, heated grips and comfort are very good as is the handling for such a big bike. However it has been the most unreliable bike I have ever had. Its had a new battery (failed due to an electrical short), starter motor, gearbox seal, rear hub seal, drinks loads of oil and now has had complete brake failure when travelling at speed. Its going to cost £1600 to repair the brakes as a brake modulator has failed. I should of stayed with what I know and stayed away from this German rubbish. Avoid if you don't want major servicing service and repair bills. Bought the bike to tour Europe next year. Me and the Mrs have done loads of miles on it with no aches and pains, a very comfy bike. Good weather protection with the adjustable screen and of course the heated grips are a mortal saver when it's cold. The engine will just keep spinng whatever you want to do in whatever gear you might find yourself in. The ABS took some getting used to but after a few 'situations' they become something to rely on. Once we got used to the bike the fun factor really takes hold, smooth ride through bends and straights. Cars really do move out of your way!. Really looking forward to next summer when we can get amongst it in France, Spain, Germany etc. Not as quick as my previous Jap' bikes but then again I'm not as quick as I once was either. Definetly a good buy. Strengths: Bags of grunt, even with 2 up, build quality is good, fuel compsumption is good street cred' is great! Weaknesses: At 90mph+ and solo bike becomes a little unstable with all panniers on, faith in gryoscopic's will keep you calm though! A great bike, can do most things. Easy to maintain and clean. A great distance machine. Bought used in 2005 (2 years old). Needed a bike that could take me and Mrs to far off places in comfort without costing a fortune in fuel. Looked at the Honda but they had problems on the new Pan and the old one seemed a bit dated compared with this, not to mention servicing and fuel costs. I am very happy with the bike thus far, having covered 16k miles over the year. It is comfortable, has excellent weather protection (which is bad on hot days! Where's the breeze?). Brilliant heated grips! BMW luggage is easy to use and secure, with enough room for essentials on a long trip. The bike reacts well to a relaxed style of riding, perfect for holidays, but can also really cut it with the faster boys when required. The engine is not up to this really though, getting a little rough if you rev it. I'd expect that of a boxer twin though. Tank range is very good, 225 miles. Around 48-50 mpg. Servicing is easy once you get the bodywork off (15 min job). Strengths: The engine has lots of torque and pulls well thoughout the range. Handling is very, very good. More so for the size of the bike! With practise you can really chuck it about. The brakes are amazing, a little sharp at times but grab the front lever and it stops! No matter what the weather! Weaknesses: Fuel injection! Runs too weak in closed loop cycle, causes surging. Careful setup and fix it or after market injection controller (twin spark bikes are ok). Engine could occasionally do with more power at the top of the range. Liked back brake is a bad idea, (U turns!) front is good though. Traded Pan European ST100 for a new Beemer, Bad Mistake! Have had this bike for a year and 10,000 miles. For the first 7,000 miles it did not run very smoothly . It requires a mechanic to know what he is doing to set it up correctly (this was more of a let down by the dealer). In the last few months the bike has had to have the following items replaced because of the quality. Centre stand-poor quality paint work, one of the panniers -as it let in rain water when the bike is parked on its centre stand in the rain, both horns have given up working.The paint work on the front fork bridge has been very poorly applied and litteraly falls off in your cloth when you polish it. The left hand panel trim has been replaced twice as the fixings are so poor.The rev counter had condensation in it as well as the Rider Information Display unit. (Petrol gauge,clock and engine temp gauge). The Fuel gauge gives false readings.The brake discs are also showing signs of "pitting". Strengths: A comfy seat and corners well for a tourer. Weaknesses: When the two year warranty ends and in particular the poor fuel consumption of 42 MPG.